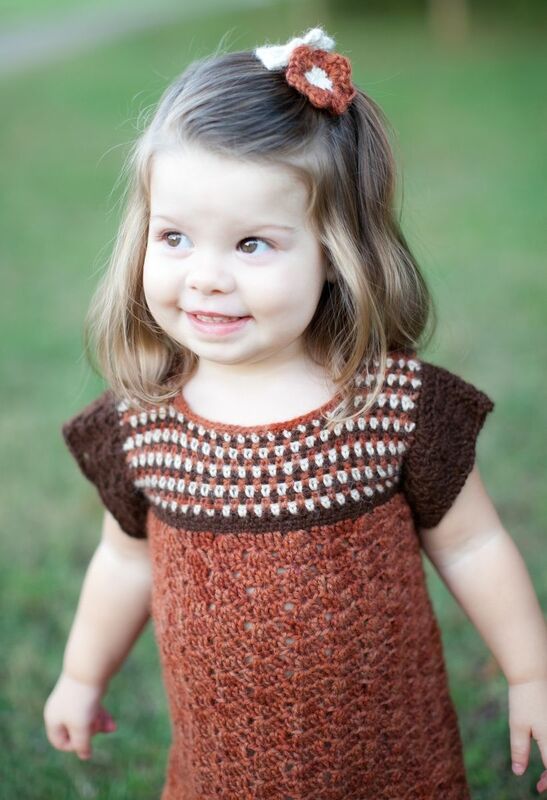 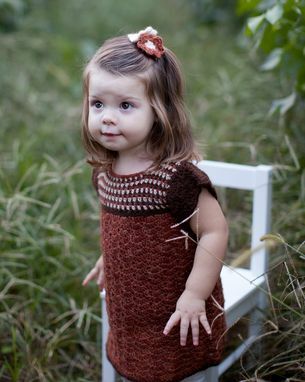 This dress was made in a size 2T but can be made in any size from Newborn to 4T. 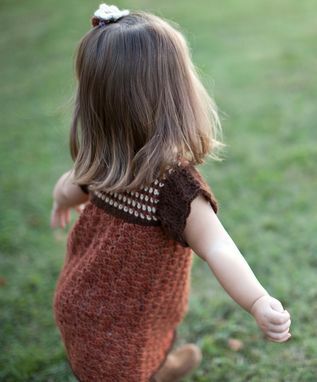 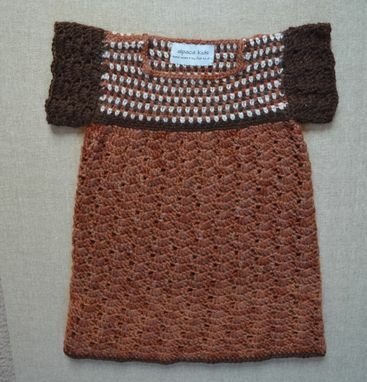 The orange colored fiber on the dress is a mineral-dyed yarn, and the other colors are natural undyed yarn. I also made flower hair clips to go with the dress. 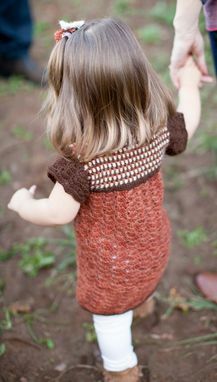 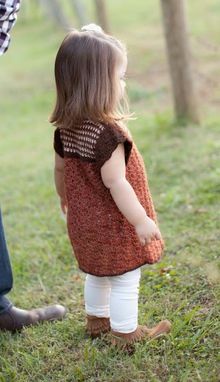 This dress can be done in other colors and is a perfect special occasion dress for a little one!